Your relationship, whether it be romantic or not, should make you feel excited and happy about life, not stifled, repressed, or unloved. Many people stay in unhappy relationships just because they fear being alone or can’t picture their life without the person, even if their current situation doesn’t truly fulfill them anymore. Everyone deserves respect, compassion, and love in relationships, but if you don’t feel as though your partner gives those to you, you might want to rethink your relationship with him or her. First and foremost, a healthy relationship begins with respect for both individuals. 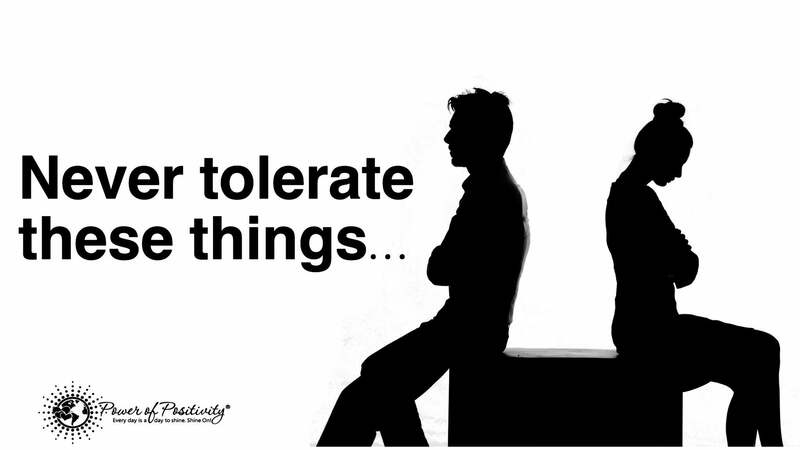 You should never tolerate someone who calls you names, puts you down, or makes you feel uncomfortable in any way. Even if you’re having a heated argument, it doesn’t give your partner the right to treat you with disrespect just because they can’t control their language. In addition to respect, mutual trust must exist in a relationship for it to thrive. If you can’t trust your partner, you should either talk to them about it, or end the relationship before you get in too deep. Both partners must feel totally comfortable, open, and supported in the relationship for it to work, and a lack of trust will kill an otherwise healthy relationship. Of course, feeling wanted and needed in a relationship is normal, but it can go overboard if you’re not careful. Most people enjoy having a partner that asks them for help with certain things or just needs a hug or a shoulder to cry on sometimes. These things are perfectly normal – what isn’t normal, however, is an overly clingy, needy partner who can’t seem to do anything without you. It’s important to feel like you can live on your own without your SO around 24/7, so a partner who doesn’t display any independence should be a red flag to you. While there are other important parts of life outside of relationships, your partner should prioritize you over other things. If he or she hangs out with friends more than you, for example, that shows they don’t take the commitment very seriously. Never tolerate someone who doesn’t take the time to make you feel special – you deserve someone who will treat you like the king or queen that you are. Now, of course negativity will be a part of any relationship in life, but it shouldn’t take precedence over a positive attitude. A negative outlook on life will translate into negative thoughts, and ultimately, a negative mind. People who focus on the negative tend to have low energy, blame others for their problems, and in general, won’t be the most fun, inspiring people to hang around. Don’t ever settle for someone who displays such negativity about life – it will only drag you down in the process. Your partner should be emotionally available; otherwise, you won’t be able to have a successful relationship with them. 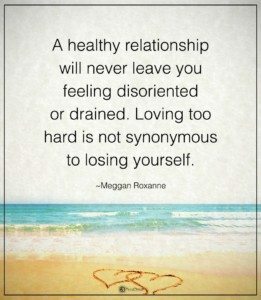 If they feel insecure or shy about displaying emotions, then they probably have deep-seated issues to work out before they can partake in a healthy, thriving relationship. Both of you should feel comfortable talking honestly and openly to each other. If your partner regularly talks over you or makes you feel like your opinion or thoughts don’t matter, this means he or she doesn’t really value you as a person. And you should never tolerate this sort of behavior in a relationship. Your partner should also back you 150% when it comes to your dreams and goals. You should never tolerate someone who gets jealous or tries to undermine your success – a truly supportive partner will encourage you and help you every step of the way. Finally, you should never tolerate a partner who isn’t willing to pick up the slack and take care of business. Adult responsibilities aren’t fun by any means, but they should at least take care of the minimum amount of chores and responsibilities needed for survival, and not depend on you to do all the dirty work.